I said there would be no post this week but as the Literary Sofa is currently ‘having a moment’ I’ve decided to try and fit in as much as possible before I disappear for August. We’ve had a provocation on diversity from Nikesh Shukla. Last week we had a post that made people cry (and for once it wasn’t about my writing career). 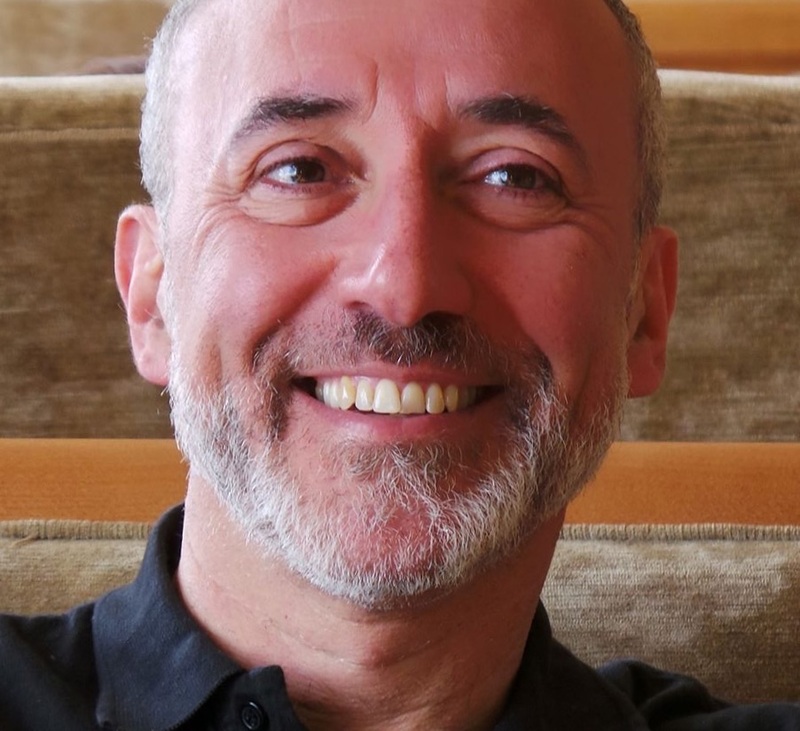 That was Antonia Honeywell’s look back at being Agented and Unpublished and today, in a Sofa first, debut author Jon Teckman presents the mirror-image experience in his post Published but Unagented. I was sitting in a café with Katie Espiner, Publishing Director of The Borough Press, and I had just heard a sentence that very few people will ever hear. Not just because so few of the thousands of hopeful souls who set out to write a novel will ever receive an offer from a traditional publishing house, but also because, of those that do, only a tiny minority will hear the words direct from the publisher. For the aspiring author the first and most important stage on the road to publication is usually to secure the services of a reputable literary agent. This is by no means easy, but once secured, the author can rely on their new best friend to send their work to the right publishers, consider any offers that come in and negotiate the best deal. For me, it didn’t work like that. My journey involved submitting to agents, being rejected several times and contemplating giving up. The rejections I’d received had mostly been pretty positive with compliments about my writing style but worries about the marketability of the story as currently told. Then I heard about an “open submission window” – a two week period when The Borough Press would welcome submissions from unagented, unpublished authors. I duly submitted the synopsis and first 10,000 words of Ordinary Joe and sat back to await rejection – but it never came. Instead, I was invited to submit the rest of the manuscript and then, out of the clear blue ether, received an email from someone called Katie Espiner, asking me to contact her. Within a matter of weeks, we had spoken, met and a deal had been done – and for world publishing rights through Borough Press’s parent, HarperCollins, as well as the UK. Furthermore, I had also secured an option on the film rights from Trademark Films. All without the services of an agent. Perhaps the most obvious benefit is that I keep all the money I make from the deals I strike. Typically, an agent will charge 15% of whatever their clients earn – a pretty significant amount. However, it must be noted that a competent agent will almost certainly negotiate a better deal for you, either by securing competing offers from a number of publishers or by driving a harder bargain if only one publisher is interested. Dealing directly with the author, the publisher is well aware that they are offering to make all your dreams come true, deliver all your Christmases at once and, oh, here’s some money too! That, believe me, is a very difficult offer to turn down however small the amount of cash on the table might be. Actually, in my case – and this brings me to the second potential advantage of dealing directly with the publisher – Katie was only too reasonable. When I pointed out that my advance was rather lower than expected, she immediately agreed to increase it. Perhaps an agent could have pushed harder still on my behalf, but it was more important to me to establish a good relationship with my publisher, which might be more easily achieved without a third party placed between you. So what of the downsides of agentlessness? The biggest one for me is feeling alone in this strange, unexplored world of publication. The author is essentially an outsider in a commercially driven business, whose needs and desires are only of interest to the publisher when they coincide with their own. Having an agent to help you understand the process – and be on your side when there are any disagreements – would undoubtedly have been helpful. Related to this, while the publisher is firmly focussed on promoting your book, they have less interest in you as an author. This might be different if you have secured a multi-book deal but, even then, the publisher’s sales and marketing efforts will primarily be on the current book not your as yet undelivered sequels. Your agent should be more interested in developing your “brand” so that, however well or badly this first book performs, you will have some recognition with the book-reading public on which to build in future. Finally, as I’ve said, having to part with some of the hard-earned cash you have been paid in return for all the blood, sweat and tears you’ve poured into your masterpiece is another significant drawback. By the time your agent and the taxman have had their slices of your pie, you may well be left with little more than half of the headline figure. But, as I’ve said, the original deal that a good agent should be able to strike for you will almost certainly offset the fees that they charge. On balance, I do still wish I had an agent – I am quite sure that the good ones earn every penny they take from your deals and add significantly to the entire publication experience. My problem now is that I am a victim of my own success – I have spoken to several agents since doing my deals and they have all said that there is nothing left of Ordinary Joe for them to sell so I should come back when I have a new project to present. My new dream – having already achieved so many – is that Ordinary Joe is such a success that it will be me rejecting them rather than the other way around! Thanks to Jon – I keep wanting to call him Joe – for sharing his experience and giving a balanced picture of the pros and cons of (not) having an agent. Many of you are novelists – what’s your view? Joe West is just an ordinary guy who has done something most men can only dream about. And turned his life into a living nightmare. Great hook! What did he do?! 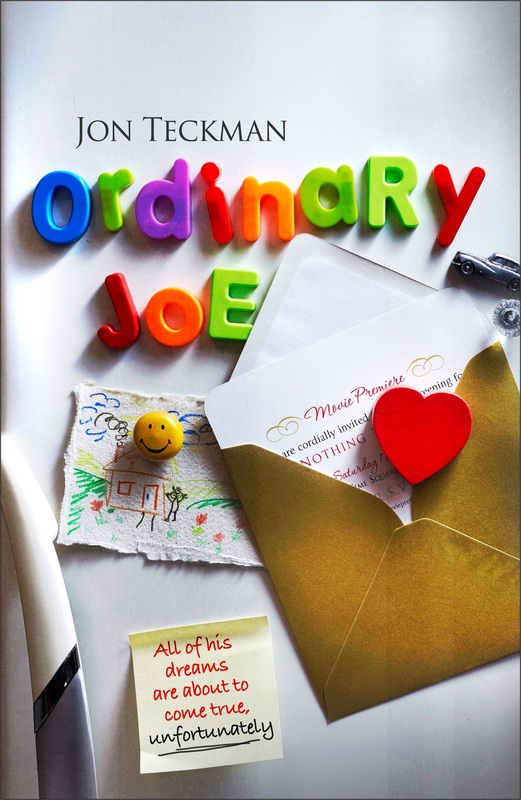 Ordinary Joe will be published by The Borough Press on 16 July. * Guest appearances on the Literary Sofa are normally by invitation only. Congratulations to Jon on the publication and sale of film rights — and it’s fascinating to read about the experience of the alternative route. I attended a workshop at a writing conference recently which concentrated on how a book was pitched — not just author to agent but the whole value chain along to the reader (e.g. agent to commissioning editor, editor to acquisitions committee, marketing department to retailers and retailers to the eventual reader). A huge amount of emphasis is put on distilling the novel into a one (or at most two) sentence hook. I wonder if the reason for these open submissions is motivated by a desire for editors to take a step away from that type of marketing and to judge the author’s writing for themselves? Or is it that they’d like to try disintermediating the agent for financial reasons? Interesting post. I don’t think there’s a right or wrong answer. I could do all my own tax but I use an accountant because the value I get from using his expertise is greater to me than the cost and time of doing everything myself. I guess like most small businesses are interested in running their business than accounting, most writers would prefer to write than handle the business side. Being pretty comfortable with business, I could represent myself (if I ever wrote a novel) but I still think the value and expertise from the right agent would be worth the 15%, at least initially. Congratulations, Jon, your novel sounds interesting and you look very happy in your author photo. Film rights on top of publication is a magnificent achievement for a first novel. Can I highlight yet another route to publication? Several small presses accept unagented submissions from authors who (in the UK) can negotiate their contract (as I did) with the help of the Society of Authors. The downside, of course, is that these publishers lack the clout of the Big Five, but on the other hand they can take a genuine interest in the author’s well-being.